Club de Fromage, London’s greatest pop party lands in Kent for a special one –off at the beautiful Kings Hall! Join Slow Alfie and the gang for the club that time forgot. Jump in their Delorean to fly through the decades at the ultimate throwback pop party. It’ll be a riot of confetti, hula-hooping and general merriment as Alfie and his crack troupe of dancing cleaners and lollipop ladies take you on a journey through pop, rock and disco. Will you emerge at the other end the same as you went in? You may have seen the gang at Glastonbury (or numerous other festivals), or one of their three huge NYE parties at the legendary Hammersmith Apollo and the O2 Forum, Kentish Town, or maybe you’ve joined one of their parties in Islington where they ruled as the biggest weekly pop night in London, for a gravity defying 12 years. If not, welcome friend. Buckle up, sit back and get ready for the ride of your life. This is a party for those who love their pop but don’t take things too seriously. We’re not going to apologise for playing Steps or Kylie and no-one is going to make us feel guilty for turning our air guitars up to 11 for Bon Jovi. This is full-on pop rocking, just like we used to do back in the day (albeit with less day-glo socks or bum bags). 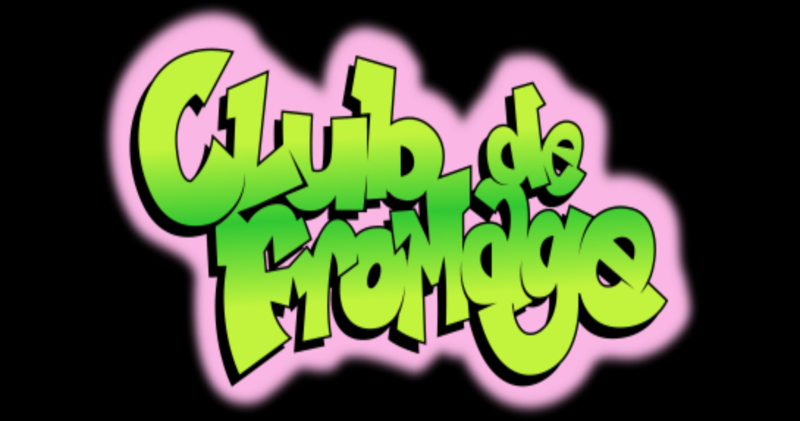 Club de Fromage brings you all the best in classic pop and rock the last 6 decades! 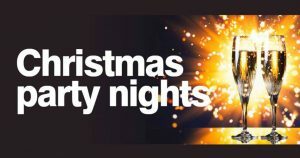 So get ready to dance round your handbags to tunes from the likes of: Beyonce, Taylor Swift, Steps, The Killers, Katy Perry, Robbie Williams, Spice Girls, Whitney Houston, Pink, Busted, Shakira, Wham, Little Mix, Madonna, Justin Timberlake, Bruno Mars, Human League, Charli XCX, Fleetwood Mac, Dua Lipa, Elvis, Olly Murs, Pulp, Soft Cell, Dolly Parton, One Direction, Aha, Jackson 5, McFly, Culture Club, Prince, Gwen Stefani, Wheatus, Gala, Tina Turner, Chic, Fat Boy Slim, Earth Wind and Fire, Blur, Madness, Kylie, Rita Ora, Bee Gees, Sia, James Brown, Elvis, Dexy’s Midnight Runners, Calvin Harris, Take That, Elton John, Aretha Franklin, Cher, Kesha,The Saturdays, Supergrass, Duran Duran, Chainsmokers, Dizzee Rascal, Miley Cyrus, The Beatles, Outkast, Enrique Iglesias, Justin Bieber, 5ive, Snap, Paloma Faith, Selena Gomez, Eurythmics, David Bowie, Fun, Bonnie Tyler, Amy Winehouse, Bon Jovi, Queen, Abba, Prodigy, Erasure, Rudimental, Drake, Guns ‘n’ Roses, Phil Collins, Depeche Mode, Girls Aloud, Journey, Will Smith, Rolling Stones, S Club, Beach Boys, Michael Jackson and many many more handbag stomping anthems!